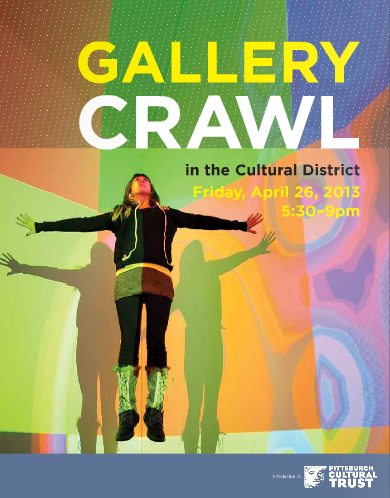 Are you ready for Pittsburgh’s Cultural Trusts quarterly Gallery Crawl? Join the masses down in the Cultural District for a night of music, art, dance, film, networking and fun. There will be “The Art of Pierogie Making” at Braddocks American Brasserie, screen prints, relief prints, blotted line prints, printouts, conceptual drawings and formal portrait studies by CAPA students, also Urban League celebrating 100th year anniversary in having artist Leslie Ansley showcase paintings and murals for the Pittsburgh affiliates 95 years of service. Do not miss out and click on the link below to see all the other happenings tonight!